TORONTO -- There was one winning ticket for the $22-million jackpot in Saturday night's Lotto 6-49 draw purchased somewhere in British Columbia. The lottery's grand prize was last won Jan. 30, when a ticket worth $18.3-million was held by someone in Ontario. 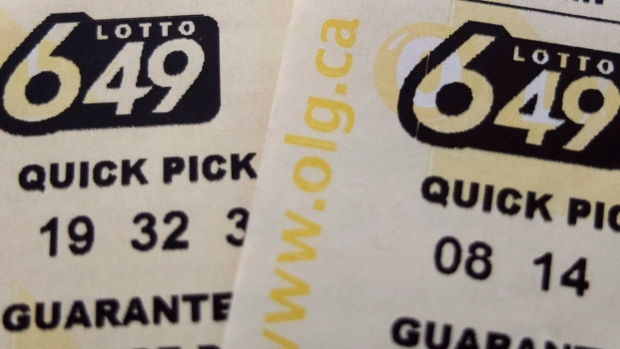 The jackpot for the next Lotto 6-49 draw on Wednesday night will be $5-million. There was no winning ticket for a $40-million jackpot in Friday night's Lotto Max draw. The jackpot for next Friday's draw on Feb. 26 will be $50-million.